The war hose of Google, Google Pixel and Google Pixel XL going to rock the gadget market This Oct will be available in Very Silver and Quite Black” colour option. Google Pixel XL Aka Merlin will be priced approx. $499(Approx. 30,000 in India) while Google Pixel aka Selfish will be priced approx. $399(Approx. Rs 25,000 in India). It will be a iPhone 7 and HTC 10 killer. According to latest leaks, upcoming Google Pixel will support Dual-SIM, Micro SIM with 4G LTE, 3G , Wi-Fi, Wi-Fi Hotspot, Bluetooth 4.0, GPS/A-GPS, GLONASS, NFC offers you a 5-inch Full HD AMOLED display with resolution (1920×1080 pixels), Gorilla Glass 4 Protection, 440ppi pixel density. 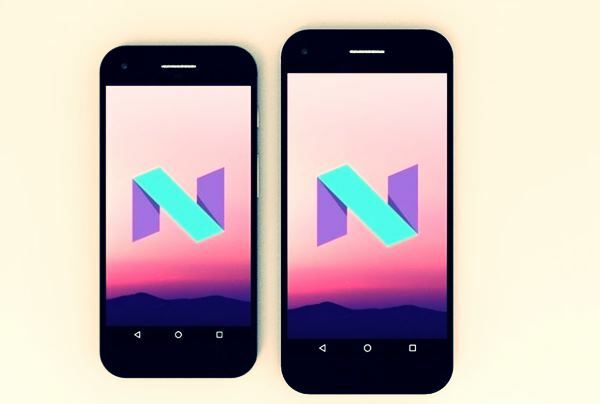 It will run on Google’s most advance Android 7.1 Nougat OS powered by an 64-Bit Quad-core (unspecified) paired with 4GB RAM offer you lag free multi-tasking with faster browsing while 32GB internal memory and 128GB external memory offers plenty of storage space to store your data. Google Pixel will sport a huge 12MP Auto-focus Rear Camera with dual-tone LED flash featuring touch focus, Geo-tagging, HDR face detection, Panorama and has an 8MP front camera perfect for taking selfie and video calls packed with a 2770 mAh battery with Quick charge features including dust and water resistance rating of IP53 , rear-mounted fingerprint scanner and USB Type-C port. While Google Pixel XL will support Dual-SIM, Micro SIM with 4G LTE, 3G , Wi-Fi, Wi-Fi Hotspot, Bluetooth 4.0, GPS/A-GPS, GLONASS, NFC offers you a 5.5-inch Full HD AMOLED display with resolution (1920×1080 pixels), Gorilla Glass 4 Protection, 440ppi pixel density. Google Pixel XL will sport a huge 12-MP Auto-focus Rear Camera with dual-tone LED flash featuring touch focus, Geo-tagging, HDR face detection, Panorama and has an 8MP front camera perfect for taking selfie and video calls packed with a 2770 mAh battery with Quick charge features including dust and water resistance rating of IP53 , rear-mounted fingerprint scanner and USB Type-C port. At last few honest word, Pixel and Pixel XL is coming to rock the gadget world. What you think? Please stay tuned for more updates.